Award-winning BrainWare SAFARI builds 41 cognitive skills in 6 areas: Attention, Memory, Thinking, Visual Processing, Auditory Processing and Sensory Integration. The 20 exercises in BrainWare SAFARI (most users call them games, rather than exercises – and that’s ok with us!) are based on decades of proven clinical practice. With 168 levels of progressive challenge and the motivation of a video game, BrainWare SAFARI is the complete brain-building package for any age. See where it can take you and your students! BrainWare SAFARI is an award-winning software program that incorporates decades of proven clinical approaches to cognitive skills development into an engaging video-game format. BrainWare SAFARI does not directly teach reading or math or any specific subject matter. Rather it trains the underlying skills that enable students to learn. The skills developed in BrainWare SAFARI were selected because they are critical in the learning process. Cognitive skills development can benefit students across a broad spectrum of abilities, including typically developing, those with identified cognitive deficits and high-performing students. WHO BrainWare SAFARI is recommended for ages 6 through adult. Children should know the alphabet and their numbers through 100, and they need to be able to use a mouse. We find that schools are most successful using the program in 2nd grade and up, in elementary and middle schools. Some schools have also successfully used the program in high school. WHAT This cognitive training program is unique. It works on a broader range of skills than other brain training programs. There are many “brain games” on the market, but BrainWare SAFARI is not a game (although it does look like a video game and students do find it engaging). What students will refer to as “games” in BrainWare are actually exercises derived from multidisciplinary clinical therapy, drawing from speech pathology, vision development, psychology, and other disciplines. WHEN The recommended usage for BrainWare SAFARI for most users is 3 to 5 times a week for 12 to 14 weeks, for 30 to 40 minutes per session. This means that the program can be used, like an intervention, for a semester. The reason for this recommendation is that it is the frequency of usage that has shown dramatic gains in cognitive skills and academic performance in research studies. WHERE BrainWare SAFARI runs on a computer, either a PC or a Mac. There is software that is installed on the computer and it requires and Internet connection. The computer must have speakers. A headset and mouse are recommended. In schools, students typically use the program in a computer lab, in the classroom, in a resource setting, in an after-school program and can also use the program from home if they have a computer there. PC: Windows® 98 or higher, Pentium III or higher, 600 MHz or faster. Mac: OSX required. 600 MHz G3 or faster. A Mac Compatibility Pack is available for computers with OS 10.7 and higher. All: 200 MB available hard disk space. Internet connection. Computer speakers. External mouse and headset recommended. Cognitive training can benefit students across a broad spectrum of abilities, including those with learning disabilities, students with ADHD and ASD, gifted students, economically disadvantaged (Title I) students, and English Language Learners, as well as typically developing students in general education. The following links provide additional information on who BrainWare Cognitive Skills Training works for different types of students and in different school settings. There is a growing body of research on the impact of poverty on cognitive development, and many low SES students come to our classrooms with real deficits in many areas of cognitive processing. BrainWare SAFARI helps strengthen the capacity to learn to help Title I students close the gap. Cognitive skills play a significant role in the ability to learn a new language. BrainWare SAFARI develops cognitive processes essential for efficient language acquisition. The standard interventions provided in schools, including accommodations, curriculum modifications and learning strategies, are important ways of supporting students with learning disabilities. However, they are designed to work around the areas of disability and to enable the student to avoid areas of cognitive weakness. BrainWare SAFARI doesn’t just teach children how to work around or compensate for weak processing areas. It uses students’ strengths to build weaker areas and fill in cognitive gaps. Using BrainWare SAFARI has been shown in multiple studies to improve cognitive functioning. Average improvements on tests like the CogAT of 12 percentile points have been demonstrated. In one school study, using BrainWare SAFARI helped more students qualify for the gifted program, over multiple years. Cognitive skills are the foundation for every student’s ability to learn. As schools strive for college- and career-readiness, and try to adapt to the greater emphasis on higher order thinking skills, and what are sometimes referred to as 21st Century Skills, students’ capacity for learning, thinking and problem-solving are more important than ever. 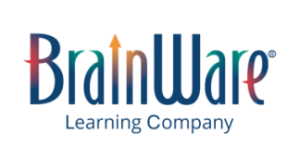 BrainWare SAFARI addresses the cognitive capacity students bring to the classroom to improve learning across the curriculum. Models like Universal Design for Learning help to clarify the role of cognitive skills in academic performance and approaches to instruction. BrainWare SAFARI is a wonderful fit for afterschool programs committed to having the greatest impact they can on academic achievement. When children develop stronger cognitive skills, they can be more successful in school across the curriculum. They also typically exhibit more focus, more persistence in the face of challenges, and better communication with peers, parents and other adults.